What's great about the teardrop trailer is the ease, and convenience it provides for its owners. While you may be sceptical about the space and practicality of it, what draws people to the teardrop is the simplicity. "The nice part about the teardrop is you hop in it, you drive, you sleep, you eat, you go. There's no setup, there's no anything. It's enjoying the outdoors." Teardrop Trailer owner Steve explains. Alongside his wife and mother, Steve hand-makes these trailers out of their family business in Ontario, Canada. Each trailer is outfitted with a bed, and outdoor kitchen attached to the back - but they also feature creative and innovative solutions for this tiny space. 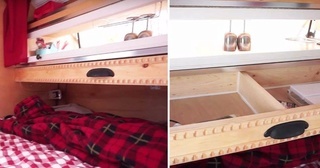 Inside the trailer, there's a 4-inch memory foam bed to lay your head after a day of camping and exploring. 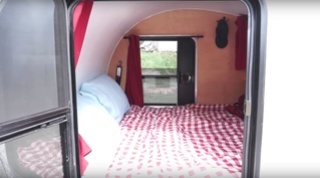 To make this space even more comfortable, they've outfitted the teardrop with two doors, so you don't have to climb over one another to get out. That's thinking ahead! Each door also has a screen so you can open it up and let a cool breeze in. The builders have also provided curtains for the little doors for added privacy. Breakfast in bed anyone? The little window in the trailer has a piano hinge that opens up to the outdoor kitchen. Here you can let in a breeze, enjoy a meal, or even plug a fan in and let some fresh air inside. The builders have also included a storage drawer that pulls out from here. You can store your essentials in here, but it also is stable enough to hold your laptop to watch movies or a series. Solar panels are an incredibly useful feature of this teardrop because they're going to provide you energy at no extra cost. Here they've outfitted the teardrops with a 100-watt solar panel that charges your two deep cycle marine batteries. But, they haven't left you hanging if it's a cloudy day. You can also plug your teardrop in for a charge too. The real surprise feature of the teardrop is the fully functioning sink! This feature makes this little trailer all the more practical. 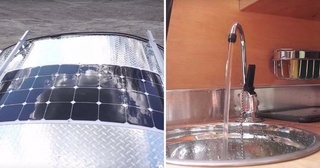 The sink also runs off of the solar panel or the plug-in charge. 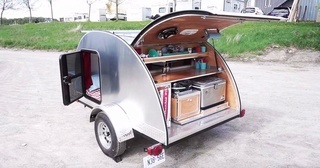 Want to learn more about this incredible little trailer? 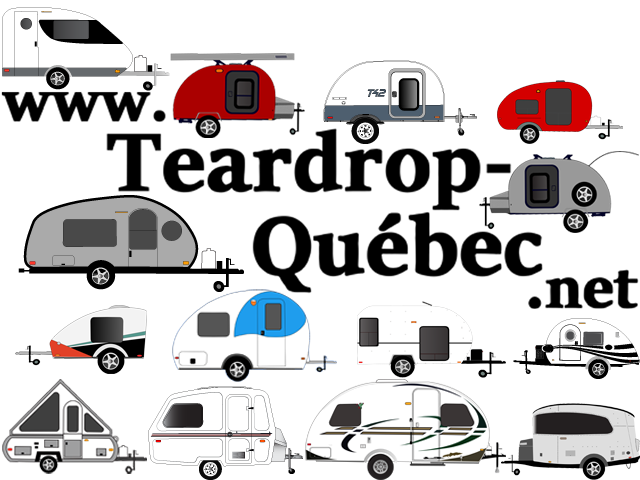 Be sure to check out the video below for an up-close, interactive tour of all this teardrop has to offer. » Check List de préparation de mon véhicules avant les grands départs.